Following an appearance in the OHL Cup quarter-finals last season, the Sun County Panthers have some big shoes to fill in order to replicate that success. When the 2002 born Sun County Panthers were on, there wasn’t a more entertaining team. Chalked full of speed, the Panthers had a deadly first line that included Matt Maggio, Ryan Gagnier and Zane Dalpe that took the league by storm to begin the year. While the offense was always there, the defense left the team wanting more and it was the defense that ultimately saw their demise in the semi-finals against London. A wild card win over the Toronto Titans was the beginning of an OHL Cup run that got the team to the final 8. The time has finally come. All the work over the past six months has led us to this date. An exciting date for some players as they will hear their names called and find out where the next step in their hockey career. As always, this is not he be all and end all of your hockey career should your name be passed over today. I’ll always point towards someone like Mike Hoffman, who didn’t hear his name called in a draft until the Ottawa Senators called upon him in 2009. Don’t take today as the end of a career but rather another step in the journey. As for today, we will have you completely covered from top to bottom with all the Alliance players selected. In 2017, the Alliance had a record 46 players selected with 10 players going in the first three rounds. It will also be interesting to see how many players from the Alliance Scout Top 25 rankings are taken as 24/25 were selected in 2017. Stay tuned here all day for continuously updated coverage. It all gets underway at 9:00am. After a six month period that felt like it took no time at all, we have finally reached the unofficial end to the 2017/18 campaign on April 7th with the OHL Priority Selection Draft. 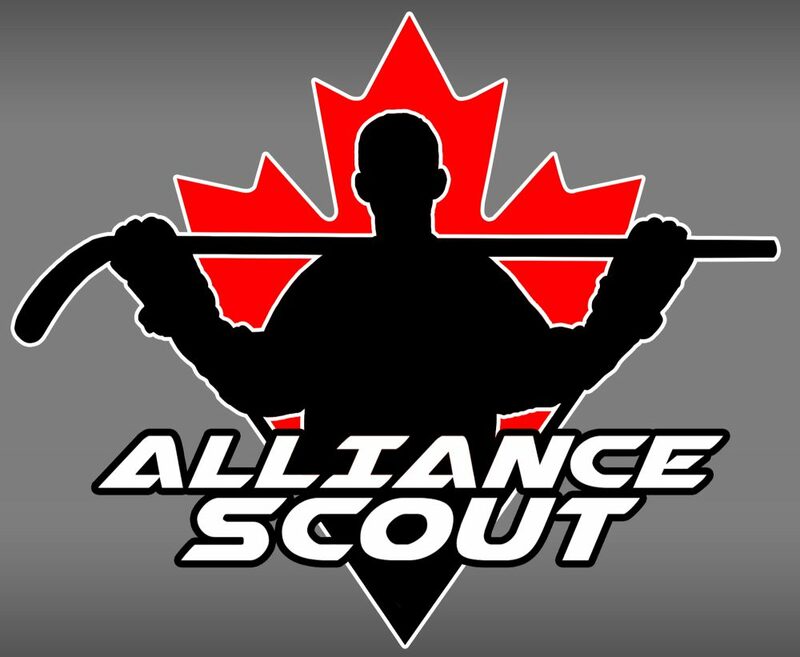 As always, AllianceHockeyScout.com will be there for the entirety of the draft, giving updates and keeping tabs on those Alliance players who find news home with OHL clubs. The Alliance is coming off one of their best showings at the draft last year and it will be hard to duplicate that success this year. In the 2017 Priority Selection Draft, the Alliance saw 46 players taken with all 12 teams being represented. While I can see all 12 teams having at least one player selected, it would be quite the surprise to see the 2002 born players reached the quantity of the 01’s. With all of that said, here is the final set of rankings prior to the selection draft. There are definitely some changes from the midseason rankings with some new faces also making appearances. The series between the Sun County Panthers and the Elgin-Middlesex Chiefs may be the best series of the opening round. Both teams can lay claim to being the hottest team in the Alliance over the final month of the season. Sun County went on a great run to end the year, going 8-1-4 from the December showcase to the end of the year. The Chiefs were on the outside looking in before going on a run that saw them go undefeated in their final 11 games of the season. When looking ahead to this matchup, it is a classic offense versus defense battle. Apologies for the long and lengthy delay, but the Alliance Scout Top 5 rankings are finally here. Unlike previous years, there is some competition for the top spot in the association. The gap between spots three and five is incredibly thin while the top two spots are a toss-up on a daily basis. The tight nature of these rankings makes the final month of the regular season and the playdowns all the more exciting for all these players. Diaco is the engine that keeps the Jr. Knights offense rolling. Not only does he take charge of the forwards, but Diaco is the quarterback for their powerplay. An undersized forward, Diaco uses his speed to create space and blow past defenders. Many will compare Diaco to Hawks forward Joseph Serpa. The difference I see is that Diaco is a finisher. A fantastic shot and quick dekes is one reason Diaco is a top scorer in the league. Diaco could up his stock with an extended run by London in the post season. The best pure goal scorer in the league this season, Maggio began this year like a bat out of hell. The first showcase of the year in Windsor hadn’t even started and we knew that Maggio was going to wreck havoc this season. Armed with a tendency to shoot for any angle possible, Maggio has shown repeatedly that he can score from these odd angles as well. Maggio has quick acceleration which allows him to deceptively get past defenders. Like Diaco, Maggio could vault himself higher with a strong run deep this season with Sun County. A calm defender at all times, Serraglio is criminally underrated in what he can create on the ice. Serraglio isn’t flashy nor does he have the size one would expect from a top defender, Serraglio is as effective as anyone along the boards. On the offensive size of things, Serraglio has the perfect low point shot you want on a powerplay and has the vision and ability to thread the needle for scoring chances. The more I see Serraglio, I see him as being similar to Owen Lalonde when he was with Windsor. As long as he stays healthy, Serraglio should see his name mentioned more often with the other top players in the Alliance. An argument could be made for Butler to be number one on this list and that debate happened in my mind over and over again. Butler was the preseason top choice in the Alliance for his combination of size, speed and skill. There is no doub that Butler has an OHL calibre shot. He has scored some OHL level goals with one that sticks in my mind is his game winner against Hamilton at the Showcase in Woodstock in early December. Butler has taken Lambton on his back this year and has brought them into contention of a playdown spot. Don’t be surprised to hear Butler’s name called in the first couple of rounds come April’s OHL Draft. McFarlane nabs the top spot in my initial rankings and as mentioned above, it wasn’t an easy decision by any means. McFarlane brings a big game in a small frame. A small player at the minor midget level, McFarlane has a lightning quick shot to go along with very good speed. Despite his small size, McFarlane plays a highly physical game and throws hits like he’s been shot out of a rocket launcher. Although on a team with loads of talent, McFarlane has been the one to take games over when the Hawks are in need of a boost. McFarlane has all the tools to be a great player at the next level, especially in this new age of hockey where size isn’t the be all end all. The Minor Midgets last season were a disappointment for the Sun County Panthers as they ran into the London Jr. Knights in round one. With the 2002 crop of Panthers, there is a legitimate shot at an OHL Cup appearance. There were high hopes for the 2001 born Sun County team. Led in goal by arguably the top goaltender in the league Aidan Pitre, it was believed he would be able to lead the team to a strong season. In addition to Pitre, the Panthers were led up front by the criminally under rated Stephane Crevier, who was one of the best goal scorers in the Alliance last year. An inconsistent season led Sun County to an eighth place finish and a date with London in the first round and a quick postseason exit.